In chakra metal pendant chakra gemstones are arranged in a circular form. These stones together keep the energy flow strong. 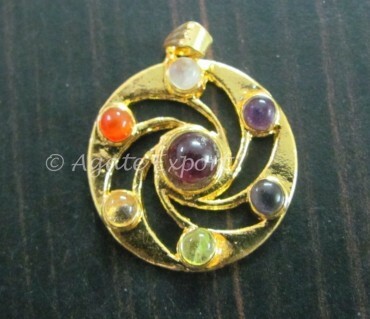 Order this powerful pendant on Agate Export and expect a fine quality product.